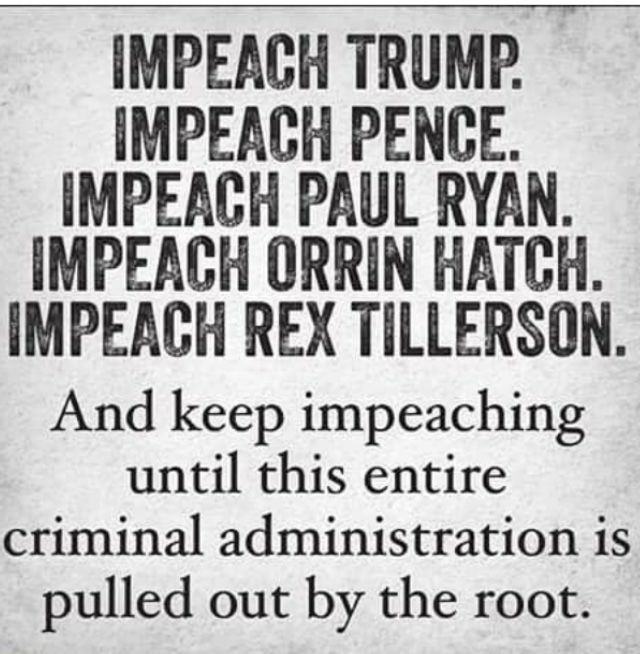 The number of Chumph appointees and staffers now either indicted, going to be indicted, accused, and under investigation has reached historic proportions. The Chumph and his acolytes are criminals. “Politicians lie, but this is different,” says a historian who studies presidential history and estimates the Trump administration easily ranks among the most corrupt in American history. Robert Dallek is a presidential historian and the author of several books, including his latest about FDR titled Franklin Roosevelt: A Political Life. Writing recently for the Guardian, Dallek lamented the “disaster” that is the Trump presidency but also reminded readers that American democracy is surprisingly resilient and has survived far worse. Despite Trump’s promises to “drain the swamp,” the first year of his administration has been plagued by resignations, investigations, and scandals. Dallek estimates that historical examples of corruption, like that of the Warren G. Harding administration, don’t hold a candle to how Trump and his people have conducted themselves in the White House. History will judge Trump, and it will not be kind. I spoke with Dallek about the history of corruption in American presidential politics and why he sees the Trump administration as “a low point in our history.” What makes Trump exceptionally dangerous, Dallek argues, is how effortlessly he lies and what kind of tone he has set in this White House. Our conversation, lightly edited for clarity, appears below. You’ve studied a lot of presidents and White Houses. Is the corruption and the lying in this administration unique in your mind? This administration is a low point in our history. We’ve been through scandals before, going as far back as the Grant administration in the 19th century and the Harding administration in the early 20th century. Presidents have been accused of bribery and shady gift-giving. So it’s not entirely unique to see scandals subsume a White House. But the shamelessness of this administration, the dishonesty, the total indifference to facts, is something I haven’t seen before — at least not this blatant. I think it’s demoralized people and made them even more cynical about politics. Is this the most dishonest administration you’ve ever seen or studied? The short answer is yes. Politicians lie, but this is different. I suppose if you wanted to be generous, you might say this is the least effective and trustworthy administration since Warren G. Harding, whose administration was overwhelmed by the Teapot Dome scandal in 1921, in which Harding’s secretary of the interior leased Navy petroleum reserves in Wyoming and California to private oil companies at incredibly low rates without a competitive bidding process. That was a massive scandal, one of the biggest we’ve seen at the level of politics. There are other examples, of course. Most obviously, there’s Nixon and Watergate, which was a watershed moment in American political history. Ulysses S. Grant’s reputation as a Civil War general was shattered by the Whiskey Ring scandal in 1875, in which Treasury officials basically stole tax dollars from alcohol distillers. Other presidents, like Bill Clinton, have lied shamelessly as well. Still, I think what we’re seeing right now will, eventually, rise above these examples, with the possible exception of Watergate. But a lot of this depends on the outcome of the Russia investigation. If it goes the way it appears to be going, it will exceed even Watergate. Do administrations tend to pay a political price when they deceive and overstep in this way? Typically they do. Look at Trump’s numbers right now. For a president in the first year of his term to have never achieved 50 percent approval rating is something of a political disaster. I mean, Franklin Roosevelt never saw his approval rating dip below 50 percent during his 12-year presidency. Truman’s popularity slipped to 32 percent near the end of this administration due to the stalemate in Korea. Nixon’s support collapsed and went down to 25 percent during Watergate. But Trump has been historically unpopular since the day he took office, in part because of how dishonestly he conducted himself during the campaign. What we’re seeing now is very ugly and, I think, very corrupting to our political system. Well, our system depends upon something like a consensus, something like majority rule. But now we have a president who outright lies about … everything. He lies about the number of votes he received, about the size of his inauguration crowd, about his own achievements, about Muslims cheering in the streets after 9/11, and so on. He lies about basic observable facts. I think the cumulative effect of all this lying is to make people deeply cynical about our entire system, and that’s very corrupting. What, exactly, is so unique about this administration in terms of the corruption and the graft? Obviously the examples of corruption are numerous: Trump refused to divest from his business interests; there are questions about whether he’s violating the emoluments clause by running Trump International Hotel in DC; there’s the indictment of his former campaign manager Paul Manafort; there’s the looming indictment of his former national security adviser Michael Flynn; Jared Kushner, Trump’s son-in-law and adviser, failed to disclose $1 billion in loans connected to his real estate company; and of course several of his Cabinet heads are being investigated for profligate travel expenses. But here’s what I think is unique: Often you see a lot of corruption result from a lack of oversight, but I think this administration is quite different in that Trump really sets the tone for all this. He encourages it, really. The fish rots from the head, and the stench of this administration starts at the very top. In what ways does he set the tone? 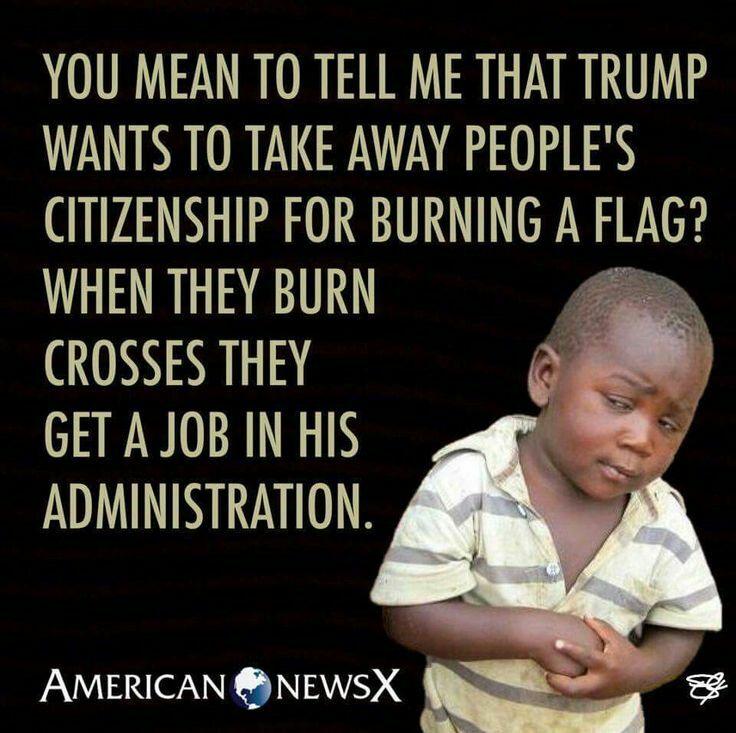 Trump is the head of government, and people know they can get away with things. Look at all the incidents of corruption I just laid out, and that’s not even close to a complete list. Like Nixon, Trump has created a culture in his administration in which people feel comfortable with corruption. Trump himself has shown a complete indifference to democratic norms, to rule of law, and that sends a pretty clear signal to the people beneath him. Special counsel Robert Mueller has obtained enough evidence to bring charges in the federal investigation into President Trump’s former national security adviser Michael Flynn and his son, according to NBC News. Flynn would be the first current or former Trump administration official to be charged by Mueller’s team, signaling the team is closing in on the White House. The special counsel’s office declined to comment on the report to The Hill. Mueller’s team is reportedly planning to speak with various witnesses in the next week to learn more about Flynn’s past lobbying work and whether he laundered money and lied to federal investigators. NBC also reported that the special counsel’s team is probing whether Flynn attempted to remove from the U.S. to Turkey a rival to Turkish President Recep Tayyip Erdoğan, in exchange for large financial sums. Flynn’s son, Michael G. Flynn, is also under investigation and could be indicted at the same time as his father or at another time, according to the report. The younger Flynn often traveled and worked with his father during the campaign and took part in the transition. Flynn could potentially be spared major legal consequences if he cooperates with investigators as a means of helping his son, according to the report. The report that Mueller may be close to charging Flynn follows the indictments of Trump’s former campaign chairman Paul Manafort and his associate Richard Gates as part of the ongoing probe into Russia’s influence in the 2016 election as well as possible collusion between Trump’s campaign and Moscow. The White House said on Monday those charges had nothing to do with the campaign. The report also follows the revelation that former Trump campaign foreign policy adviser George Papadopoulos pleaded guilty earlier this month to lying to FBI investigators about his contact with Russian actors during the campaign. The revelations show that Mueller’s investigation is moving at a quick pace and closing in on those close to the president. Flynn left his White House post in February after he misled key administration officials about his previous contact with Russian officials. The Grand Jury has approved the first Mueller Indictments of the Chumph’s acolyte(s) Russia probe. Things are getting ready to get interesting! The special counsel’s investigation has focused on potential collusion between the Trump campaign and Russia, as well as obstruction of justice by the President, who might have tried to impede the investigation. CNN reported that investigators are scrutinizing Trump and his associates’ financial ties to Russia. 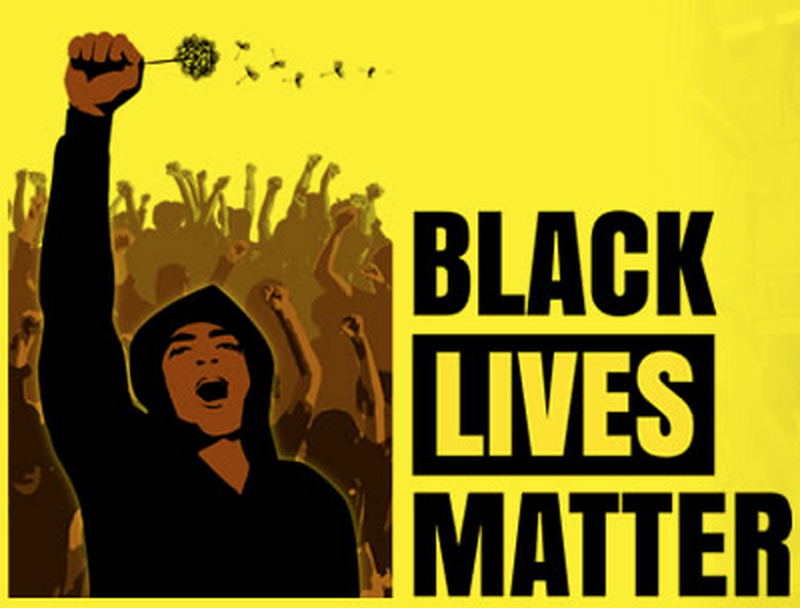 Every stop now s a life or death situation – no matter how innocent a black person is. Going back to the Wild West under the Chumph and Sessions – First bullet wins. This is not good news to decent cops who are being put on the firing line for racism. Looks like they selected a Grand Jury in Chicago who at least could identify a crime when they saw one. Three of the Chicago police officers on the scene when Jason Van Dyke shot and killed Laquan McDonald in 2014 have been indicted on charges of conspiracy, obstruction of justice, and official misconduct. They stand accused of lying on incident reports about the moments leading up to Van Dyke’s use of deadly force against the black 17-year-old. In a report submitted to the Chicago Police Department, Marsh wrote that McDonald had “committed aggravated assaults against the three officers, finally forcing [Van Dyke], in defense of his life, to shoot and kill” him. In a separate report, Walsh wrote that “when MCDONALD got to within 12 to 15 feet of the officers he swung the knife toward the officers in an aggressive manner.” Gaffney submitted a report that said three officers had been “battered” during the run-up to the shooting. All of these claims were revealed to be lies upon the release of a dashcam video that showed McDonald’s final moments. The release of the video, which sparked protests and led to the ouster of Chicago’s police superintendent, proved McDonald had not threatened or acted in an aggressive manner toward any of the officers in the moments before Van Dyke shot him 16 times. In the indictment, the officers are accused of mischaracterizing “the video recordings so that independent criminal investigators would not know the truth about the Laquan McDonald killing and the public would not see the video recordings of the events.” It’s unclear at what point the three officers named in the indictment watched the dashcam footage, and what role their descriptions of it may have played in the city’s decision to keep the video out of public view until a judge ordered its release in November 2015. The Justice Department’s report was supposed to lead to a court-enforced consent decree that would have mandated a reform agenda. The Trump administration, however, has scuttled plans for that consent decree to take effect.